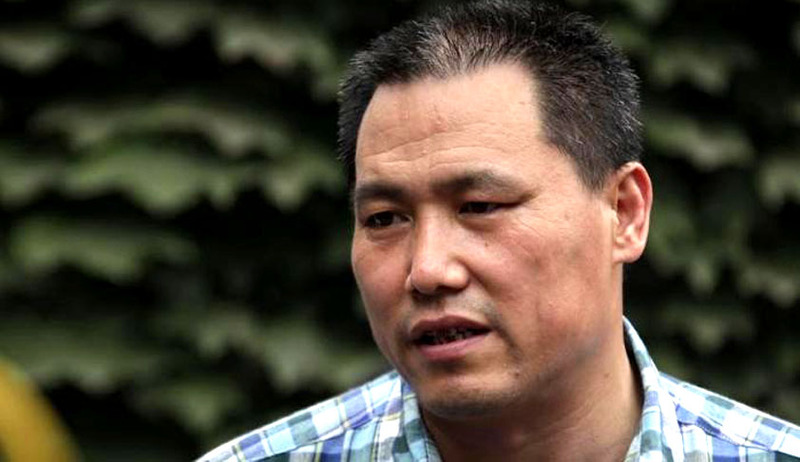 Chinese human rights lawyer Pu Zhiqiangon announced on Wednesday that his license to practice law was revoked by the Beijing City Judicial Bureau. The bureau allegedly disbarred Pu from practicing law because of a December criminal conviction associated with using social media to critique the government. The move is criticized as a way to curtail activists from using their positions to critique the government. Fellow rights lawyer and friend Shang Baojun told Reuters the disbarment had been expected since Pu's conviction in December, because a person found guilty of a criminal offense is not allowed to practice law. Pu was detained shortly after attending a May 2014 meeting to discuss commemorating the 25th anniversary of the bloody military crackdown on the 1989 student-led pro-democracy movement centered on Tiananmen Square. He was given a three-year sentence suspended for three years. The charges against Pu were based on seven microblog posts that he had published online, criticizing the government's ethnic policy in the troubled western region of Xinjiang and several officials. The crackdown on rights lawyers culminated in at least 242 people detained or questioned throughout the country. UN High Commissioner for Human Rights Zeid Ra'ad Al Hussein expressed concern in February over China's recent crackdown on lawyers and activists. In January Chinese authorities arrested high profile human rights lawyer Wang Yu and her husband on charges of political subversion. Such instances are an issue of concern that was detailed in a US State Department study which stated that, “individuals and groups regarded as politically sensitive by authorities faced tight restrictions on their freedom to assemble, practice religion, and travel. Authorities resorted to extralegal measures, such as enforced disappearance and strict house arrest, including house arrest of family members, to prevent public expression of critical opinions.” The Chinese government responded with their own report condemning the human rights violations committed in the US.